I first read Catch Me If You Cannes when it was released as a serialised enovel a couple of years ago and I absolutely loved it. Now it's just been published as a paperback and I couldn't resist as re-visit to the glamorous Cannes. Blurb: WARNING: reading Catch Me If You Cannes may result in embarrassing outbursts of belly-aching laughter on public transport. 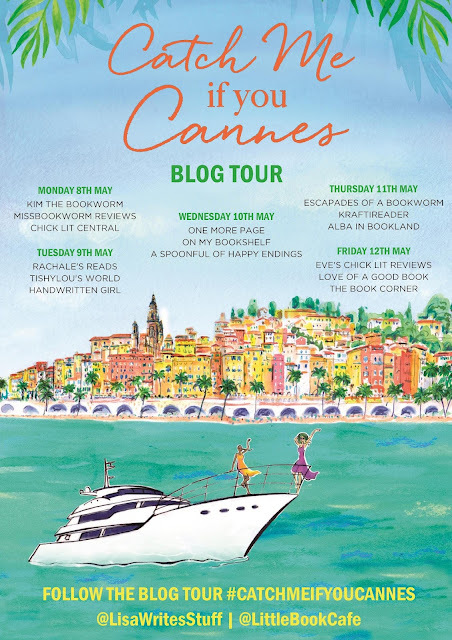 Romantic, funny and full of Cannes Film Festival magic, it's perfect for fans of Giovanna Fletcher, Paige Toon and Mhairi McFarlane. 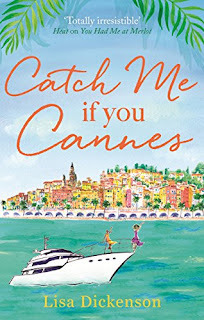 Review: Lisa Dickenson's Catch Me If You Cannes is finally out in paperback and I couldn't be more excited. 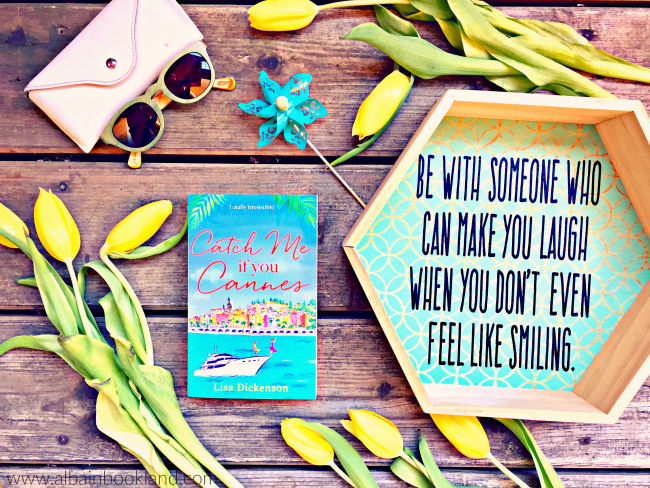 I loved Lisa's previous books and completely fell in love with her witty and fresh style where the laughs are guaranteed and Catch Me If You Cannes is no different. In this story we meet Jess and Bryony, two very different but close friends who are gonna stay for two weeks in Cannes while Bryony covers the famous festival for her magazine. Jess, as Bryony says, is a ray of sunshine, and I liked her from page one. Tired of never leaving her small village, she has decided this trip is gonna be full of adventures. And what adventures! Soon the two friends find themselves surrounded by A-listers, oysters and yachts. All this in the beautiful setting of Cannes, with its sunshine and azure sea waters. During their adventures, Jess meets gorgeous Leo. He seems like the perfect match for Jess, they really connect and I loved reading about their interactions. They were really cute together. But Lisa Dickenson is full of surprises and soon you realise Leo might not be that lovely. While reading this story, I couldn't stop thinking about what was going on and what was going to happen next. Lisa created a great story that made me want to forget about everything else. I felt like I was in Cannes with them. And we also got to go to Monaco. Montecarlo sounded so glamorous and movie like. I can't wait to visit for myself! All in all, I think this story will be a summer hit: laughs, beach, cocktails, sunshine and Cannes (oh! and Nutella!!). What a perfect combination for a lazy afternoon by the pool. And now that the paperback is out, you have no excuses for not getting it and devouring it. Take my advice, put some Lisa Dickenson sunshine in your life this summer, you won't regret it! Lisa Dickenson is the pseudonym for Beyoncé. OK, FINE, THAT'S NOT TRUE. Lisa lives by the Devon seaside, stuffing cream teas in the gobs of anyone who comes to visit, and writing stuff down that she hopes is funny. 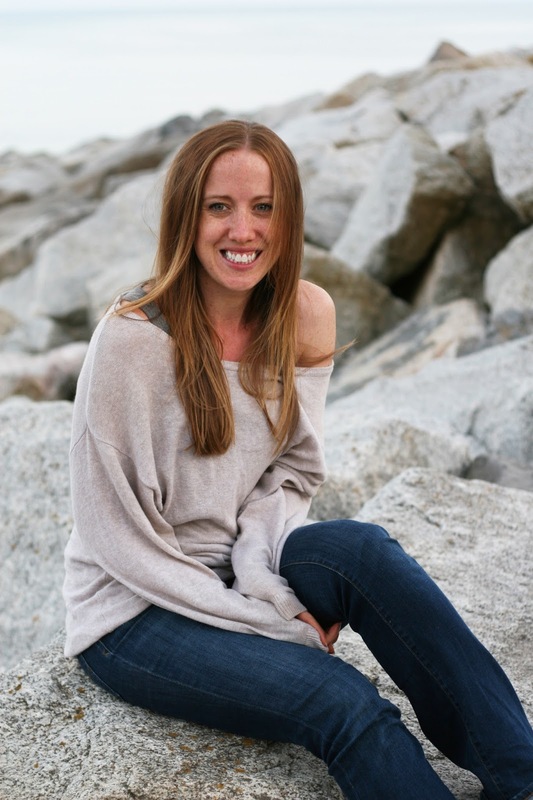 Her first novel was the copyright-infringing Sweet Valley Twins: The Twins Holiday Horror, which she wrote in primary school and gave up on after five pages. Twenty-ish years later Lisa went on to be a *real author* and wrote the Novelicious Debut of the Year, The Twelve Dates of Christmas. Fab review! :) This does sound like a lovely summer read - I'm going to look out for a copy of this.